In the exhilarating tradition of I Am Pilgrim comes a sprawling, international high-stakes thriller that pits the intelligence of one man against one of the most successful spies ever to operate against American interests—"one of 2018's hottest debuts!" (The Real Book Spy). 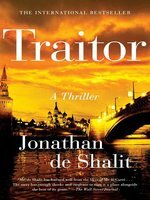 When a young Israeli walks into an American embassy and offers to betray his country for money and power, he has no idea that the CIA agent interviewing him is a Russian mole. Years later, the Israeli has risen in the ranks to become a trusted advisor to Israel's prime minister and throughout his career, he's been forced to share everything with the Kremlin. Jonathan de Shalit is the pseudonym of a former high-ranking member of the Israeli Intelligence Community. He is the author of Traitor. His books must pass a rigid vetting process, including the approval of a special Governmental Ministers' Committee. De Shalit has translated into Hebrew the American novel A Sport and a Pastime by James Salter and Defectors by Joseph Kanon, as well as John le Carre's autobiography, The Pigeon Tunnel. De Shalit, “a former high-ranking member of the Israeli Intelligence Community,” has the credentials to pen a solid spy novel centered on a mole hunt, but veteran genre readers will find nothing that they haven’t seen before in his plodding debut. In 1983, Alon, a young Israeli parliamentary aide, walks into the American embassy in Rome and tells an official, John Roberts, that he wishes to work as an intelligence asset for the U.S. The ambitious Alon boasts that within two decades he will be in a position to provide top-level strategic information. 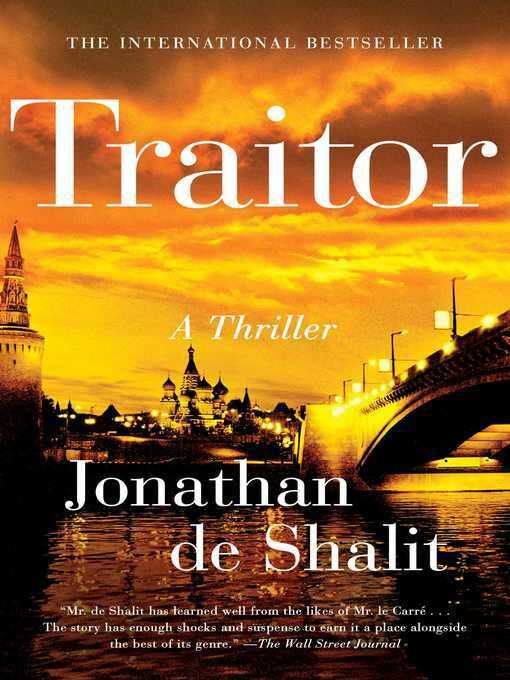 Roberts, himself a traitor, will pass on Alon’s offer to the East Germans, for whom Alon unwittingly becomes a spy. In 2013, the betrayal of the man code-named Cobra by the East Germans comes to the attention of Aharon Levin, the retired head of Mossad, who is authorized by the Israeli president to put together an off-the-books squad to identify and apprehend him. It soon becomes clear that Cobra is Alon. Readers will struggle to sympathize with the colorless Alon, whose motives never cohere.